Works really great for cleaning under the rim of the toilet. I use it all the time. along the front edge, big brush does not reach them. 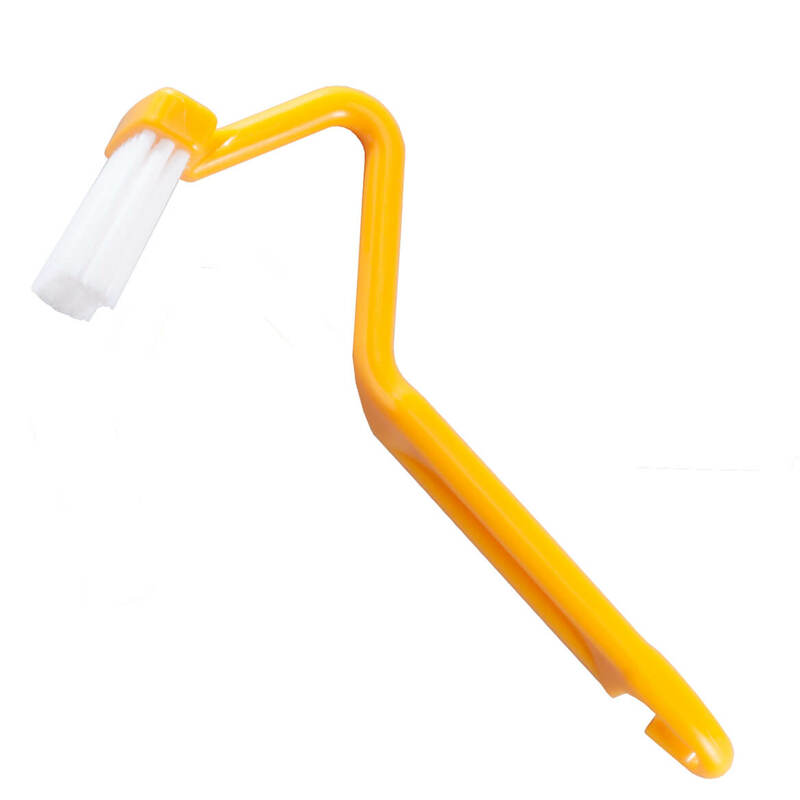 Just the other day when cleaning the toilet I wished for a brush with a bent handle to make it easier to clean under the toilet rim. This is just what I wanted. I need an easy way to clean under the rim. I love the disposable toilet cleaning pads, but this will help to clean under the rim more completely. I thank it will be much easyer to clean with. It is hard to reach under toilet rim. Hoping it will do a good job. Have well water and mineral deposits built up on your toilet bowl. Using this brush will help in cleaning my toilet. It's very hard place to clean and this will help tremendously. me do a better job. These are great,needed another one. Have a toilet that has a very high rim, this should do the job. I haven’t seen tiny brushes for the toilet. To assist with doing a job that everyone dislikes. It is necessary where I live. A regular toilet bowl brush doesn’t get under the rim that well. So I ordered this one. 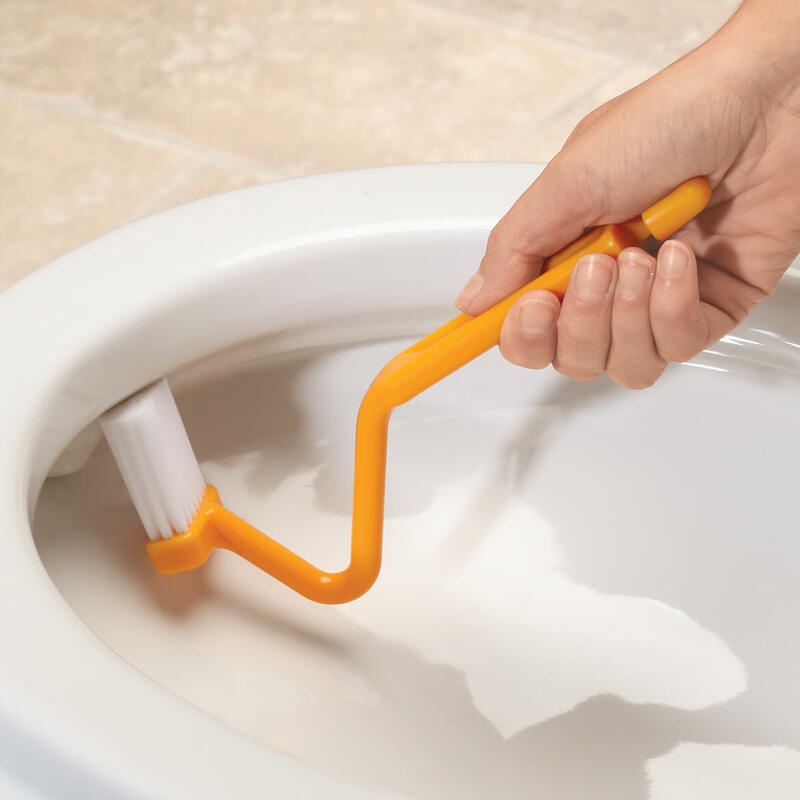 I have always wanted a brush to clean under the rim of the toilet. All the other types of brushes just couldn't do the job well. Hope it will make it easier to keep things clean.